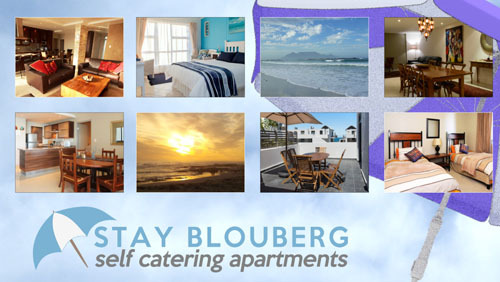 Stay Blouberg offers a range of quality self-catering apartments and holiday homes perfect for every type of traveller. 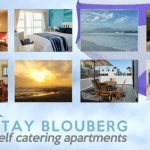 Whether you are visiting Cape Town on business or pleasure, a leasurely break-away or a family holiday we’re here to help take the hassle out of booking your accomodation. 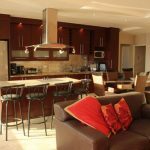 We personally oversee the cleaning and maintenance of all our properties and we’re confident that you’ll love it here. 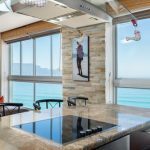 Bloubergstrand features one of the most iconic views of Cape Town and is the perfect base to explore everything the Cape has to offer, from cultural activities in the city and surrounds to kite surfing at Witsand and Langebaan. We can also point you in the right direction if you’re interested in doing chartered tours of the wine route. Our apartments are close enough to the city to enjoy a night of theatre at the Artscape, but far enough that you can really relax and unwind.